People love sharing things on social media which they find interesting. 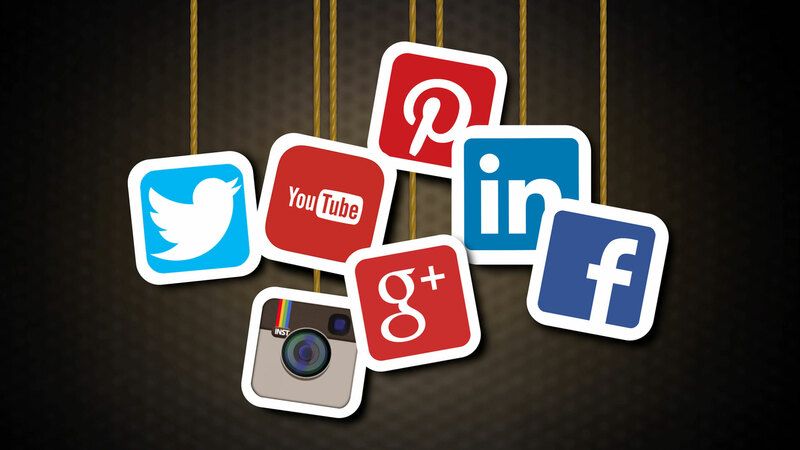 Thus integrating social media icons on blogs has become very common as they attract more viewers and sharing something on social media definitely means driving more traffic, that too for absolutely free. There are many plugins available in WordPress for including sharing buttons in your blog and below is a list of 5 social media sharing plugins that can make your task really easier. Monarch is a very stylish and elegant, feature rich sharing plugin developed by ElegantThemes and it tops the list because of all the functional tools that it has to offer. Moreover it includes more than 20 social networks that can be added and arranged in any number of available networks. You can even choose from multiple location options for placing these icons which makes it really easy to integrate social sharing icons on basically any site and even those containing media or content heavy pages. This plugin has a clean design that can be customized easily and to add more this includes fully responsible icons which mean that the icons will work great across all devices. Using monarch also means that you can refine your display settings according to your preference. Thus if you need something with all in one package to create a very professional blog then Monarch is just the thing worth paying for. This is a very popular multipurpose sharing plugin that not just includes social sharing icons but has features to show recommendations, following social analytics and other related content. This feature can help engaging visitors on your website and also the amount of time they spend on your site. It is one of the most easy to use plugin that can increase the traffic on your site easily. It supports eighty-three social networks and internet services. It has very catchy share buttons and responsive, retina ready display which makes it optimized for any screen size. The highly customizable design and simple installation process makes it really easy to use even for the beginners. This plugin can scale to any size and works equally well for both established and newly developed sites that have comparatively less views. To add more Shareaholic is available for absolutely free. This one is also available for free and includes tons of features to draw more traffic for your website. It is fully responsive to ensure that your site works well in various screen sizes. Though it does not support tons of sharing icons, all the popularly used sharing options like facebook, Google+, Linkedin, Twitter, Xing and Pinterest are available. You can also include custom social button text and arrange the icons in any order easily. It comes with pre-included shortcodes to help you design element for your theme very easily. This is really easy to use and you can even customize the CSS3 styled code easily to change the size of the icons. This really lightweight social sharing plugin will not add any extra burden on your site. Floating side bar is a premium solution, if you are looking for lightweight WordPress social integration plugins that could work really fast. It is really simple and has very little functionality. You can setup this on your own very easily and it supports sharing buttons for Twitter, Facebook, Google+, Linkedin and Pinterest. It has a very simple interface that can be used to drag and drop the social buttons that has to be displayed. Since it is really lightweight, it will not have any significant impact on your sites speed. This plugin works really well for newbie’s because of its ready to use nature. The floating horizontal bar to show the social media button gives a really sleek and elegant look to your site. This plugin generally comes pre-installed with WordPress nowadays, but needs activation using a WordPress account. Jetpack is suitable for beginners and is very secure. It monitors your site for downtime and keeps the plugins updated. Jetpack can increase the traffic on you site with tools to provide related posts, publicize, enhanced distribution and sharing. It can automatically speed up images and optimize them using the global WordPress .com. This social sharing plugin can help you track your number of visitors on your site with proper stats, which is really helpful if you want to include commercials on your site. This list is created considering information depending mostly on key features, user ratings and reviews based on very recent available information. We hope that you find this list useful while searching for best social sharing WordPress plugin currently available in the market that suits the need of your site.